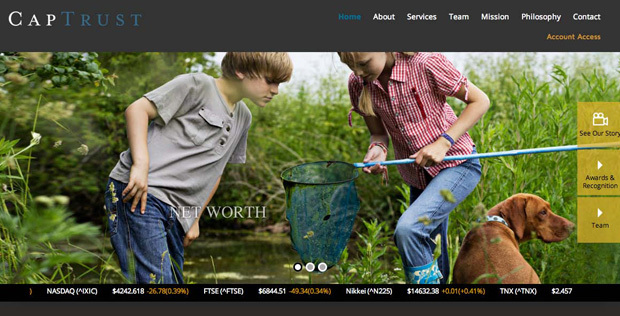 2014 WebAward winner, Standard of Excellence in the Financial Services category by the Web Marketing Association. 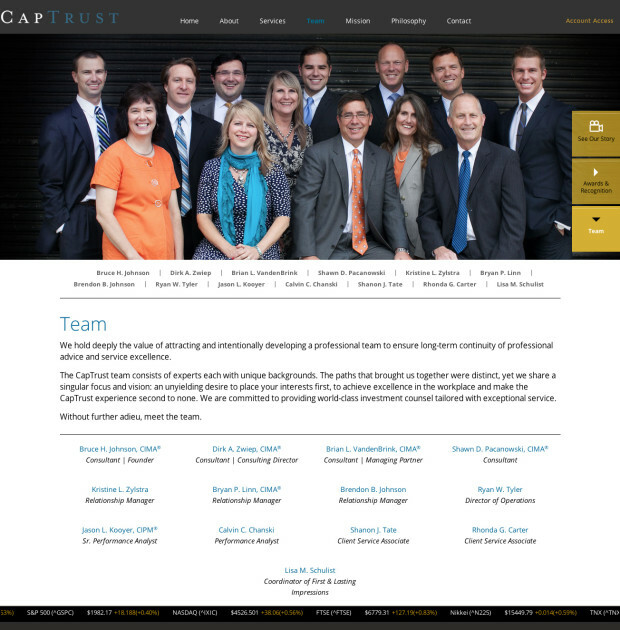 CapTrust is an independent Investment Consulting firm in Holland, Michigan that provides private wealth management services for individuals and financial consulting services for institutions. 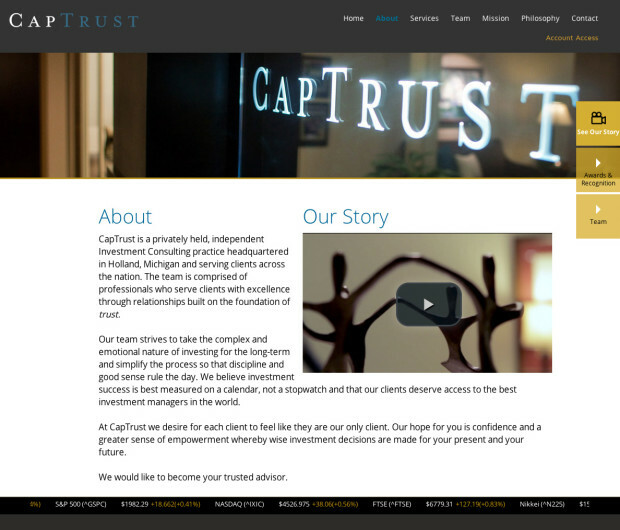 The previous CapTrust site was a “cookie-cutter” design that looked much like every other financial investment site. 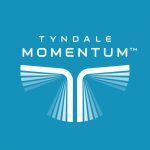 The new site reflects the extremely high-end clientele whom they serve and the firm’s commitment to service excellence. 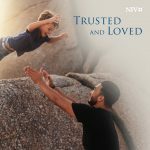 That balance of both exceptional capabilities and an emphasis on relationships is what we tried to achieve with the site experience, as well as a strong sense of trustworthiness which is the foundation of the firm’s name.